Article on the damage and recovery of coral reefs after Hurricane Andrew by Drs. Peggy Fong and Diego Lirman published in National Geographic Research and Exploration. Dr. Otis Brown, who joined the Rosenstiel School as a post-doc, rose through the ranks to become the School’s dean in 1995. During his tenure as dean 77 faculty members would be hired, more than tripling the number of female faculty from 5 to 16. In 2009 he would receive the University’s prestigious President’s Medal from President Donna E. Shalala for 14 years at the School’ helm. Organized by Rosenstiel School faculty members, the announcement raised public awareness of coral reefs, their resources and their fragile state. A study by Dr. Peter Glynn on the eastern Pacific coral reef demonstrated that corals surviving the strong 1997-98 El Nino warming event harbor resistant photo-symbiotic algae, which raised the possibility that coral species with specific types of symbiotic algae will be better able to resist high-temperature global change. 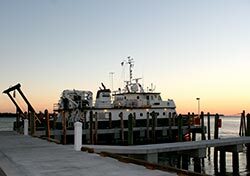 The Rosenstiel School’s primary research vessel is the F.G. WALTON SMITH, named in honor of the School’s founder. The Smith, which was designed to the school’s specifications, was built in 1999 and placed in service in February 2000. Working with Royal Caribbean International, the Rosenstiel School helped equip and launch the first-ever dedicated marine/atmospheric laboratory aboard a luxury liner. Through this longstanding partnership, renowned scientists have lectured aboard the ship and collected critical information about the ocean. The program continues today with additional ships and routes. UM launches its Center for Southeastern Tropical Advanced Remote Sensing (CSTARS), a state-of-the-art facility that provides low earth-orbiting satellite images, a key tool for mapping and evaluating coral reefs and coastal areas in the Gulf of Mexico, Southeastern United States, northern South America, Central America and the Caribbean Basin. 40 teams spread out across 19 zones from Key Biscayne to the Marquesas accumulating bonefish sightings during the 1st Annual Bonefish Census. 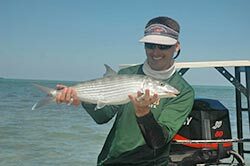 Statistical analyses indicated a population of just over 317,000 bonefish in the greater Florida Keys. The University of Miami’s Rosenstiel School becomes one of only four centers in the world to bring together medical and ocean researchers to investigate how humans affect oceans and how oceans affect humans in tropical and subtropical environments. The Center brings together resources from RSMAS, UM’s Miller School of Medicine and college of Engineering. Rosenstiel School opens a new, full-time lab in Highborne Cay, Bahamas, Saturday, Jan. 29. The lab will allow continuous observation of living examples of Earth's oldest known macrofossils to learn more about our planet's history. Funded primarily by the National Science Foundation, the Highborne Cay Research Station will enable Rosenstiel School researchers and collaborators to investigate Bahamian stromatolites on a year-round basis. The ability to chronicle adaptive processes of these living fossils on a daily basis will advance our understanding of evolution of early life on Earth and possibly other planets. To expand its outreach into the community, the Rosenstiel School established its Underwater Photography Contest for amateurs. Originally, the contest was divided into three categories: “Florida Diving,” “Macro,” and “Wide Angle” photography. The School also recognized the best overall submission. Since then the categories have been revamped somewhat and include: Macro, Fish or Marine Animal Portrait, Wide Angle, and Best Overall submission. The School also recognizes Best UM Student Photo. A generous donation from the George B. Storer Foundation of more than $100,000 was designated for use in the areas of marine science and business education at the University. Named for the late George Storer, the Foundation provides support for higher education and social services, especially for the blind, youth organizations, conservation, hospitals, and cultural programs. 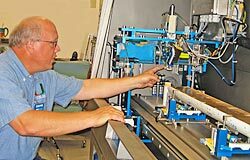 A new XRF (X-ray Fluorescence) Core Scanner is installed at the Rosenstiel School to find clues to historic changes in climate using marine sediment core samples. This is only the second XRF to make its way to the United States. In response to the need for localized efforts to protect and recover the surviving populations of threatened staghorn coral Dr. Diego Lirman and James Herlan, establish an underwater nursery dedicated to the propagation of staghorn corals in collaboration within Biscayne National Park. Dr. Andrew C. Baker is awarded the 2008 Pew Fellowship in Marine Conservation to develop novel and groundbreaking techniques to enhance the thermal tolerance of corals and help them survive warming oceans around the world. 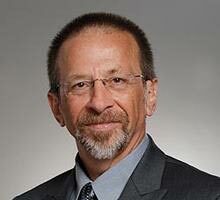 Roni Avissar, chairman of Duke University’s department of Civil Engineering joined Rosenstiel School as the first dean in 14 years. A climatologist, he has studied the way Amazon deforestation affects precipitation patterns around the world and was one of the first to employ a specially-equipped helicopter to collect environmental data. The Rosenstiel School launches a first-of-its-kind interactive database, the Digital Atlas of Marine Species and Locations (DAMSL), which visually catalogues marine life while providing encyclopedic content to users. The site located at www.damsl.org has more than 1,000 images, taken over more than four decades, by Myron and Nicole Wang. 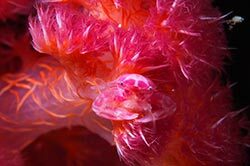 The couple donated their extensive collection of over 5,000 images to help create a way to educate and inspire the general public about the world’s rich underwater ecosystems. New grant to fund high-tech seawater laboratory to create jobs, support biomedical research and enable further studies of wind, waves and storm surge. The University of Miami (UM) Rosenstiel School of Marine & Atmospheric Science is listed as one of the top ‘heavy hitters’ in the recently released ‘Essential Science Indicators’ list published by Thomson Reuters. The database contains a total of 43,500 worldwide institutions over a 10 year period in the fields of atmospheric research, oceanography and geology. The University of Miami was ranked among the top five U.S. academic institutions along with Harvard, Princeton, the University of Washington and the University of California, Santa Barbara. As a result of the Deepwater Horizon oil spill UM faculty members created a cross-functional Academic Disaster Response team composed of more than 50 people to address various aspects of the spill. CSTARS provided images to 100’s of reporters worldwide. Additionally, at the request of federal government agencies involved, the NSF and UM reassigned the R/V F.G. Walton Smith to support NOAA and the EPA in assessing the situation at and near the wellhead of the Deepwater Horizon oil platform. 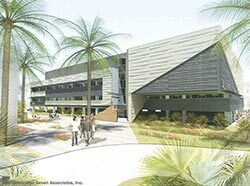 The facility provides faculty and students with expanded opportunities to conduct research throughout the Florida Keys. 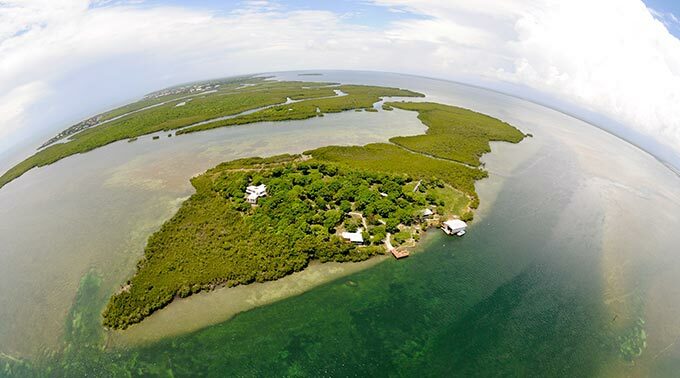 Located in the North Keys, just two miles away from John Pennekamp Coral Reef State Park, the 63-acre island provides scientists with direct access to Florida’s sub-tropical marine ecosystem. UM professor Kenny Broad and the late underwater photographer Wes Skiles were named "Explorers of the Year" by the National Geographic Society. The award was presented in recognition of their extraordinary achievements in exploring and documenting the Blue Holes of the Bahamas—a UM study that was featured on their August 2010 cover. UM’s CARTHE researchers have placed more than 300 SPOT Satellite GPS Messengers into the Gulf with uninterrupted high-frequency tracking service. The largest research expedition of its kind near the Deepwater Horizon spill, the UM consortium of scientists intends to use the collected data to track ocean flow as it relates to the dispersion of pollutants and the effects of hurricanes on the dissemination of environmental hazards over time. Andrew Bakun, RSMAS Professor of Marine Biology and Fisheries was awarded the ‘Great Medal of Prince Albert The First’ by the Oceanographic Institute of the Foundation of Albert I, Prince of Monaco. Dr. Bakun, a leading global expert in the field of marine science has worked as a professional oceanographer for more than 50 years. The Rosenstiel School’s state-of-the-art research facility opened its doors. The complex houses the SUSTAIN Laboratory, capable of generating Category 5 hurricane force winds, and wet labs to be used for the spawning and study of marine organisms. A Rosentiel team developed and tested a new sensor to detect ambient levels of mercury in the atmosphere. Funded through a National Science Foundation Major Research Instrumentation grant, the new highly sensitive, laser-based instrument provides scientists with a method to more accurately measure global human exposure to mercury. A one-of-a-kind Helicopter Observation Platform was added to RSMAS’ fleet of specialized research vessels. The commercial Airbus Helicopter is custom equipped with advanced technology and instrumentation to allow scientists to obtain vital environmental data in flight. Scientists studying naturally high carbon dioxide coral reefs in Papua New Guinea found that erosion of essential habitat is accelerated in these highly acidified waters, even as coral growthcontinues to slow. The new research by UM’s CIMAS, NOAA, and the Australian Institute of Marine Science has important implications for coral reefs around the world as oceans become more acidic as a result of global change. A research team led by Professor David Nolan has been awarded the American Meteorological Society’s (AMS) prestigious Banner Miller award. The Banner Miller award recognizes an outstanding contribution to the science of hurricane and tropical weather forecasting that was published during the previous four years. Professor Brian Soden was named one of the world’s most influential scientific minds in Geosciences by a Thomson Reuters report, titled: The World’s Most Influential Scientific Minds – 2015. Soden, recognized for his work in the field of climate science, was one of only 3,000 scientists from around the world to make the list. The Rosenstiel School's Experimental Fish Hatchery became the first educational/research institution in the world to obtain the GLOBAL G.A.P. Integrated Farm Assurance for Aquaculture. The hatchery supports an innovative academic and research program that offers students a hands-on learning environment where research-to-business takes place. The Rosenstiel School was awarded $12 million in grants from the Gulf of Mexico Research Initiative (GoMRI) to support research on the effects of the Deepwater Horizon oil spill on the environment. Three awards totaling $2.5 million were also given to individual researchers at the school. Scientists from the Rosenstiel School led by professor Dave Nolan and the Hurricane Research Division of NOAA believe they have found a new way to measure the intensity and location of hurricanes from hundreds of miles away by detecting atmospheric waves radiating from the centers of these powerful storms. 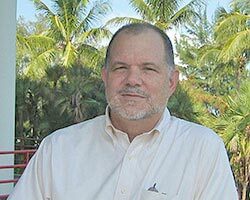 Rosenstiel School Professor Daniel Benetti awarded $967,000 by Florida Sea Grant from the National Oceanic and Atmospheric Administration (NOAA). The funding is just a portion of $9.3 million NOAA has slated for 32 projects around the country to help spur the development and growth of shellfish, finfish and seaweed aquaculture businesses.